can't believe it's ben 9 months since my last post. Last year I lost my mojo for cardmaking and decided I needed to spent more time with my family and friends. And boy am I enjoying this time! Days and weeks are going by so very fast... I didn't miss crafting at all. 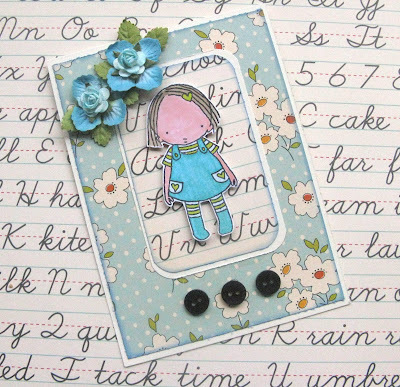 The only thing I didn't miss on was reading some of my favorite cardmaking blogs. This morning I was reading some of them ( the girls were at my mum and dad's house, so the house completely to myself) my fingers started to itch. A little digging in my old junk (didn't buy anything new for about a year) and tada!!! this is the result. I hope my fingers will keep itching so I can continue doing what I really loved to do most.....creating cards. Thanks for stopping by and see oyu soon with another card. Don't think I've gone crazy (posting twice in one week), just had a great day last Thursday and decided not only to make my card for the DDCC but also the one for this weeks challenge on the JCBC blog. This week have a great sketch for a Criss Cross Card from Kristin, sadly enough it's her last one because she decided to step down due to other commitments. I'm back!! After 2 months of no blogging and no cardmaking I'm back. At least I think so. The past few months I've been in some kind of winterdepression. Completely no energy and no inspiration. For someone that can't sit still for more then 5 minutes it's really weird to sit and do nothing for most part of the winter. But spring finally arrived here in Holland, and with the sun shining more and more every day I feel my energy slowly coming back. Today I want to show you my very first project after 2 months doing nothing. 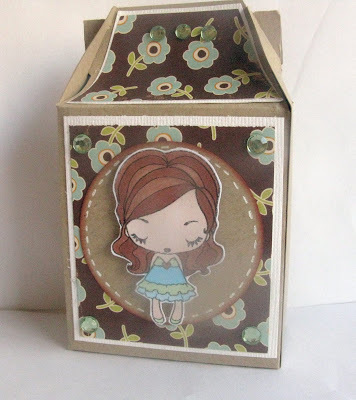 It's a cute gable box which is this weeks challenge over at the Dutch Dare Card Challenge. 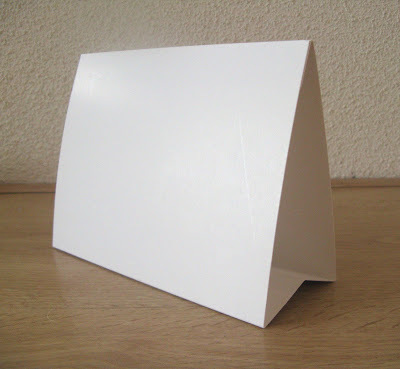 The pattern for this box can be downloaded on this weeks challenge. It's nothing fancy but a great project to get me starting again. Thanks for stopping by today and enjoy your weekend. Yesterday I had to work and today we are visiting Ron's parents because his dad was celebrating his 79th birthday yesterday. The girls are making him birthday presents right now, so that gives me time to write this post. 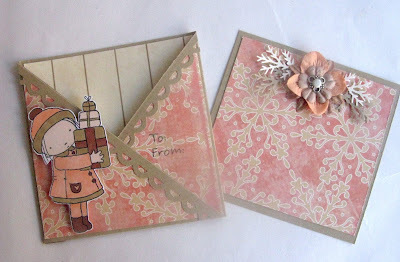 Friday I sended everyone the 7th Cardmaking Class by Email. 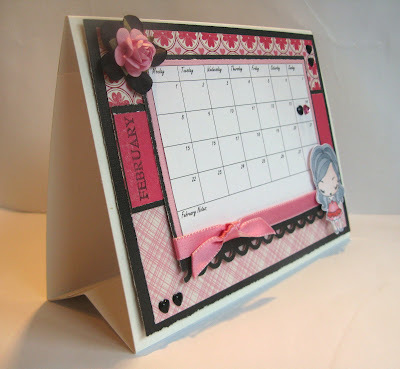 This week no card but a calender. Then I created the calenderpage for the month of February. I created the calender page in a word document, if you aren't able to create one yourself you can create your calenderpages on this site. 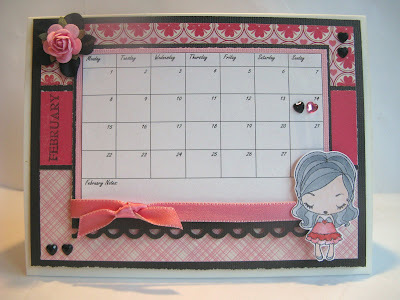 The papers I used are from Making Memories - Love Struck - a fabulous new line perfect for Valentines day. The image is a cute digi-image from the Greeting Farm which I resized to fitt to the page. If you want to receive your weekly Cardmaking Class by Email just send me a email and I will send you this weeks copy a.s.a.p. Thanks for stopping by today and enjoy your Sunday. today I want to show you a card I created for the Scrap Online Group on Paper Craft Planet and for the Cardmaking Class by email. Every Thursday night we will make a card online following instructions given every 5 to 10 minutes. The ladies attending have no idea what the card will look like during the process. And every Friday morning there's the Cardmaking Class by Email. Same card we made the night before but now as a Word File. To experience the same thing as the ladies do on Thursday night you have to work your way through the pages one by one.. no peaking on the last page. If you are a adventures lady and are interested in receiving this Cardmaking Class by Email just send me a email and you will receive your first CCE this Friday. I promisse you I have a great project for you this Friday. Our weekend was nice and relaxing. The girls were in their PJ's all day Sunday and the highlight of the day was going to to the Mc. Donalds in their PJ's (we didn't get out of the car, we went through the drive-through). Today I want to show you my card for the JCBC challenge. Can't believe we are already at challenge #54, where does the time go?? This weeks sketch is created by Melissa and I think it's a great one. I cheated a little on the challenge... I used Valentines papers and I didn't add a sentiment. You all think it's a valentines card, but I think it makes a perfect birthdaycard for a little girl. 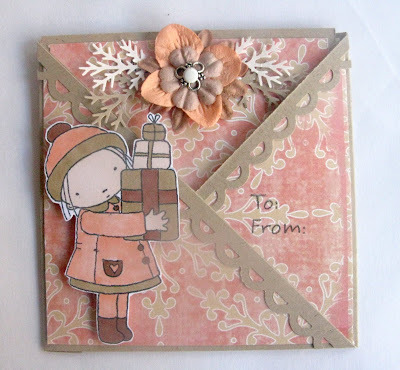 For my card I used the gorgeous papers from Cloud 9 design (St. Valentine collection). And this cute ladybug stamp is from Stamping Bella. With Valentines day coming up in a month I wanted to work in advance a little bit. I created a cute little giftbox and matching card, using the gorgeous papers from MME - Beloved. And the cute stamp is from MFT - Pure innoncence. Was blogging around a few weeks back and came accross a few blogs showing those cuties and fell in love with them. watercolouring, MFT's pure innoncence, MFT's bling pot, Beloved paper MME, pearls and sewing machine.